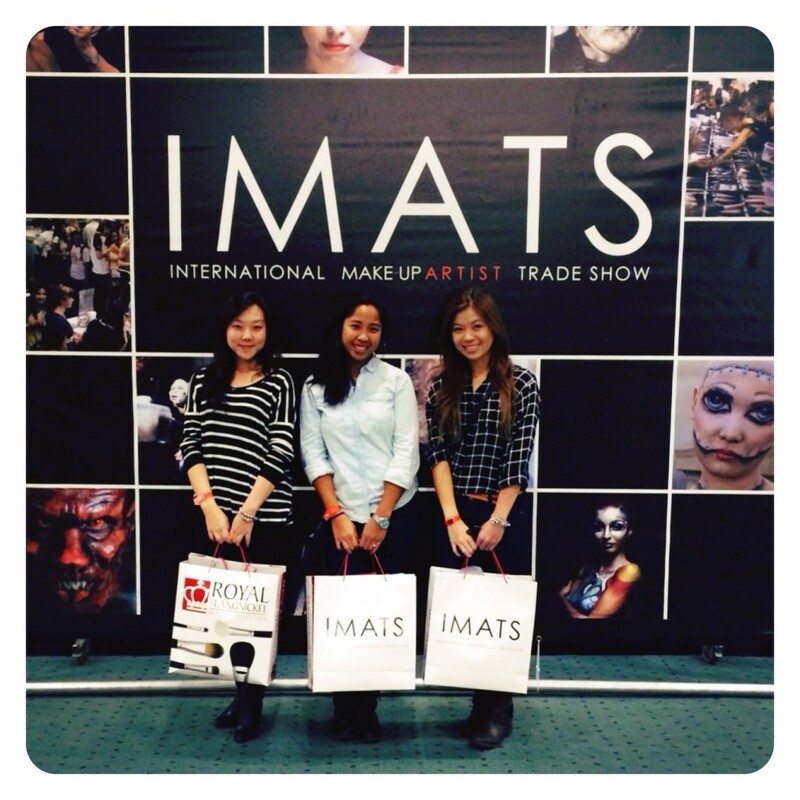 This past weekend, I was able to attend IMATS Toronto 2013 with two of my girl friends for the first time. 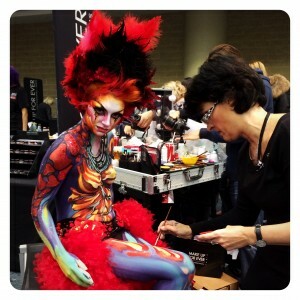 I’ve heard about IMATS before mostly via YouTube or beauty blogs and ended up researching earlier on this year about the one taking place in Toronto. Before the show, I read previous experiences from a few bloggers to get an idea of the exhibitors and the discounts as well as how busy it can get. I also tried to make a list of things I wanted to get so that I stay on budget… which I managed to stick to! What a miracle. From what I’ve read, a few people mentioned to get there early in order to avoid the crowd or a huge lineup. I heard that there was a lineup before the doors opened, but when we got there at around 10:30am, there was no lineup at all to check in and get our wristbands for the day. 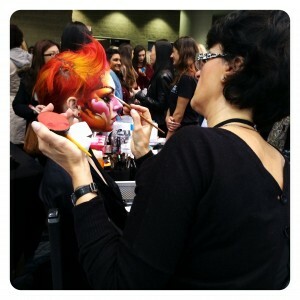 Full-body Makeup Work at the Make Up For Ever booth. Amazing! The booth where I was definitely expecting a lineup was the Make Up For Ever booth and sure enough, there were a bunch of people standing to the side of the booth waiting for their names to be called in order to pay for their purchases. 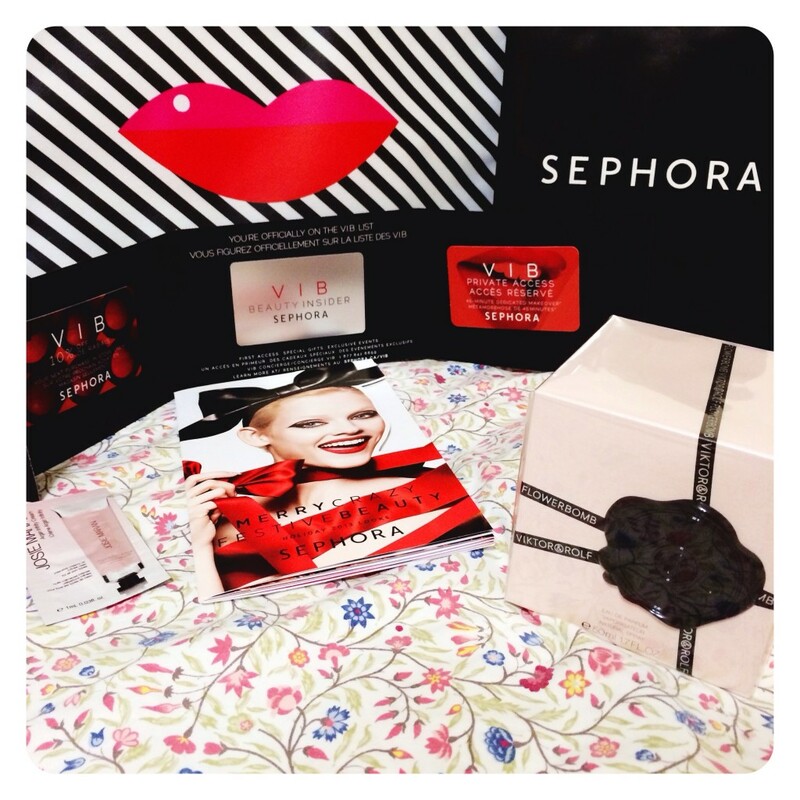 Thankfully, I read about this before going on Saturday and made sure I knew which products I wanted to get so that I wouldn’t have to wait as long or wait around to try the products out. Even still, it was about a 20 minute wait to get your products called out. So if you’re planning to attend in the future, be prepared for this! They had a few promo packages available and I think their IMATS discount was about 30% less compared to Sephora prices. It ended up being cheaper than the VIB 20% discount, so I’m glad I waited to purchase my items from the show. While I was waiting I also saw Maria [well… more like she saw me], which was awesome because we haven’t run into each other for a while. It’s always nice to see friends during events like these! China Glaze ‘All Wrapped Up’ on ring finger. Orly Bonder as base coat and Essie ‘Good To Go’ as top coat. 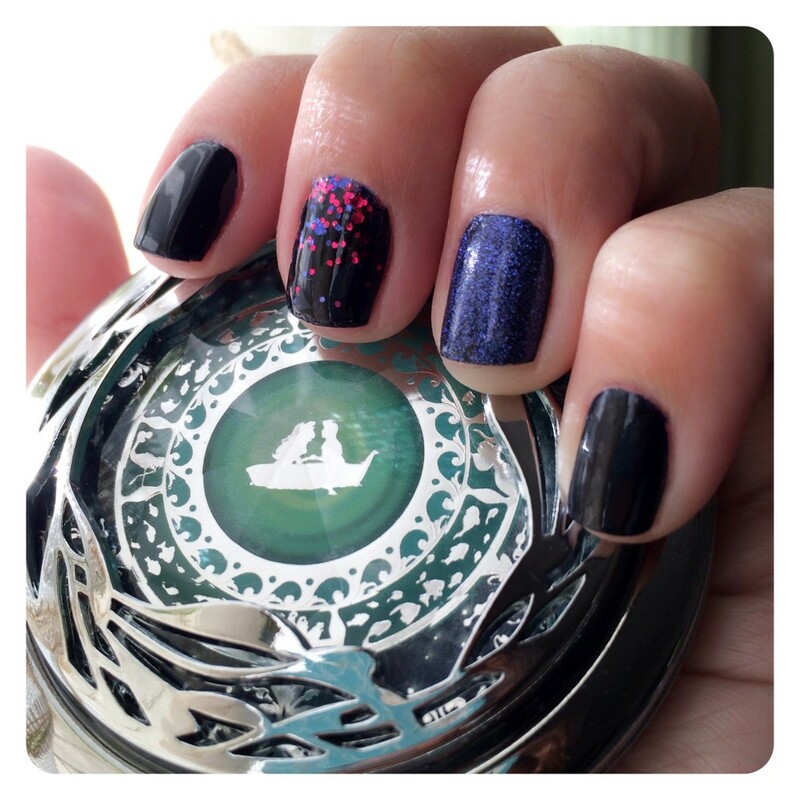 I was just saying to myself the other day that maybe after finally swatching all the nail polishes I already had, that I would be less inclined to get my hands on new shades… but nope. I guess not! Especially when there’s good deals involved. I was able to find the Essie shade in a local Marshall’s for only $5.99CAD and Sally Beauty Supply was having a Buy 2, Get 1 free promo for China Glaze’s holiday collection. Not bad, huh? One of my favourite things to get at one of the seafood restaurants we frequent (for $1 Oyster Thursdays! 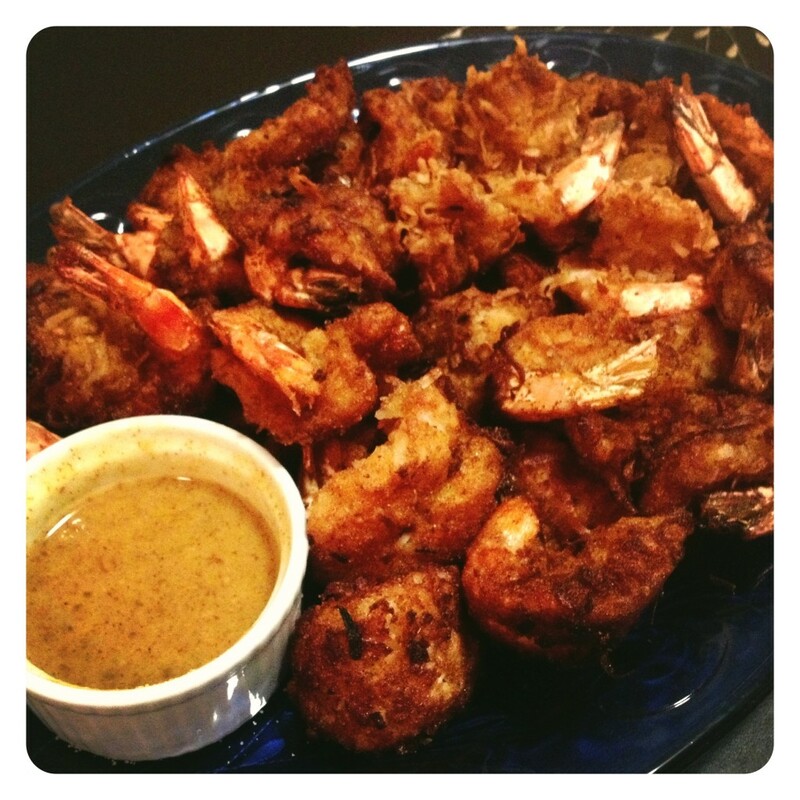 Yummm) is their coconut shrimp. I was craving for it this week and my boyfriend wanted us to cook something as well on his day off. We decided to try out this recipe to see if we can find a similar recipe… and success! We found one. In the beginning of August, I tried out Stand-Up Paddleboarding [or SUP, for short] along with my boyfriend and some of our good friends. Initially, we had scheduled to do this for my birthday back in June, but it rained After a few times trying to decide on a schedule that works best for everyone [planning things gets much harder as time passes *ahem… getting older*; everyone just gets busier and busier! 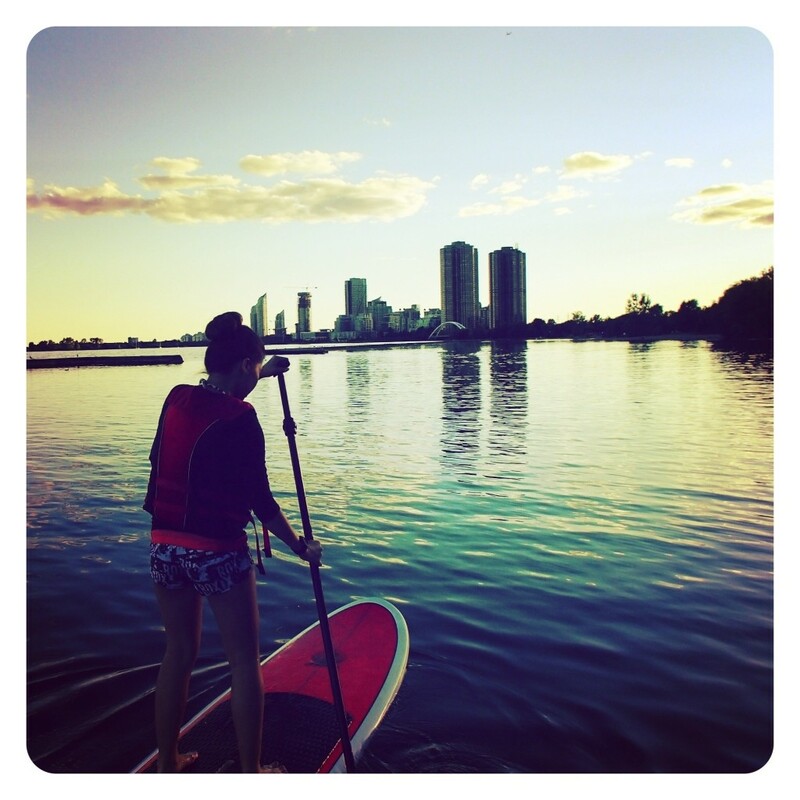 ], we finally found a Saturday evening where we could all go and check out paddle boarding for the first time. To start things off, 3 out of 4 of us don’t even know how to swim properly… [haha!] this automatically means surfing is unfortunately not an option for me. Although it looks fun, I can’t tread water and that wouldn’t be the greatest idea. I just can’t seem to bring myself to go any deeper than tiptoe level! [Anxious much?] I’ll just stick to floating around and swimming from point A to point B in shallow areas Plus, come on… I live in Toronto, not California. Because of this, I thought SUP was a great alternative to try out. I’ve been white water rafting, canoeing and kayaking before so as long as there’s lifejackets involved, it’s safe enough for me!